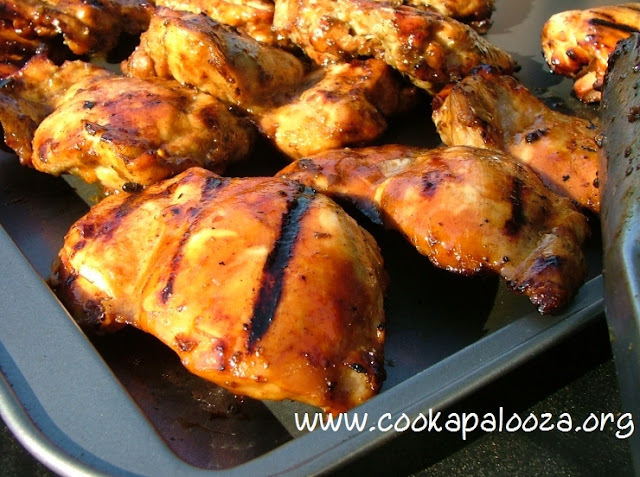 Boneless, skinless chicken thighs are one of my FAVORITE things to marinate and grill! They cook quickly and the tiny bit of fat in them adds extra flavor! They also don't dry out as easily as grilled chicken breasts. 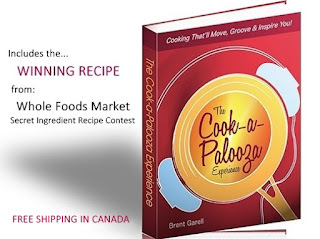 A tasty marinade I often use for chicken thighs is the one I use from The Cookapalooza Experience cookbook for Jerk Chicken. It’s more sweet than spicy which makes it more approachable for us folks who didn't grow up eating true spicy Jerk Chicken. Now I’m not trying to push the cookbook (o.k. maybe a little), but I wanted to reference the Jerk Chicken recipe because there is one ingredient in the marinade that makes it taste so good! 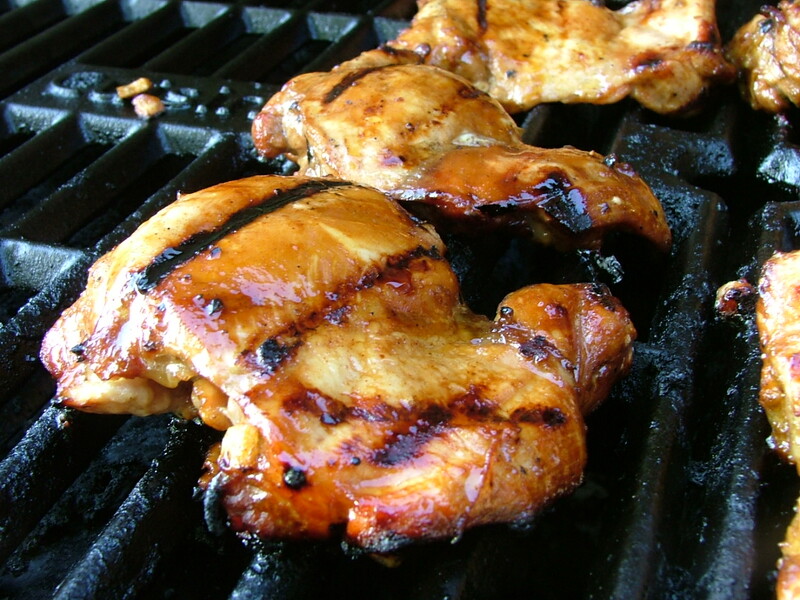 I think molasses is one of the BEST ingredients to add to any grilled chicken marinade. It's thick so it sticks to the chicken, its sweetness pairs well with sour, savory and spicy ingredients, and it makes the chicken look extra tasty! I let the chicken marinate for 4 hours and it was super moist (and tasty) when it came off the grill! You could just as easily combine the marinade and chicken in a resealable plastic bag on a weekend and store it in the fridge (or freezer) so you have a mid-week main dish ready-to-go. To make marinade, in a small bowl combine lime juice, oil, molasses, soy sauce, cinnamon, garlic, onions, salt, pepper and hot sauce. Place chicken thigh in a large resealable plastic bag. Add marinade, seal bag and turn several times to coat chicken. Marinate for at least 2 hours. 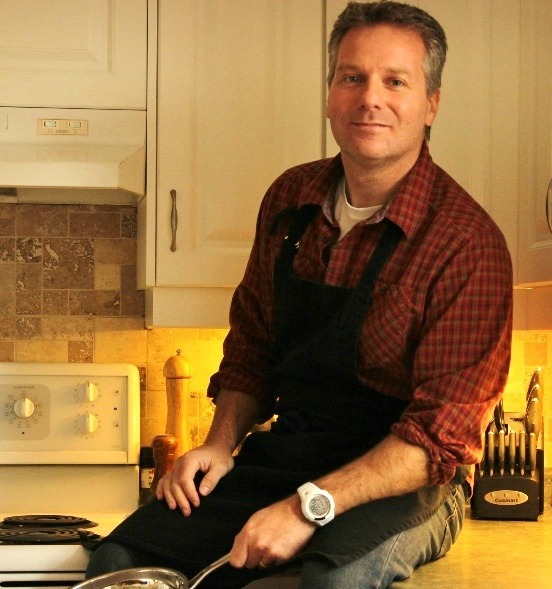 Preheat grill to medium setting. Place chicken on grill and discard marinade. 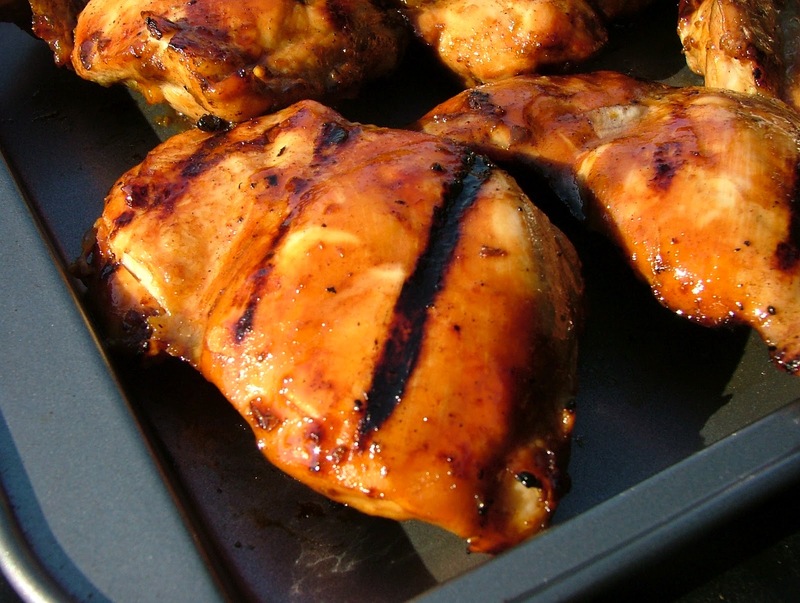 Grill until chicken is no longer pink in the center but still moist inside, about 5 minutes per side.